Summer will soon arrive for all of us here in NY, and spring is peaking it's head out to see if it's okay to rest here for a while. New York is a great state, but we do spend some longer winter months that mean plenty of cold weather. That means our HVAC units can go through some tough times, and it also means our air conditioners can sit unused for months on end. The longer the air conditioner sits without being used, the more likely it is there will be mechanical problems when it turns on for the first few times we need it. To avoid this, air conditioning tune ups are being done throughout the area. This preventative step keeps your A/C working better and improves it's lifetime of use. If you have a home in Ardsley On Hudson, you understand that there are indeed times you'll want to use your air conditioner this summer. The mistake a lot of homeowners make in areas of the country like ours is in thinking that because we use this part of our HVAC system less, it should last longer and need less attention. However, that just isn't the case. Consider that the air conditioner is a mechanical system with many moving parts that can get broken when just one part goes down. Many times, we don't even know a part is bad until it breaks down the entire A/C. This is common because the units sit for too many months without getting a tune up first prior to use. Cleaning your ductwork is an important step in purifying the air in your home. 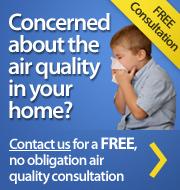 But it isn't the only step you can take to ensure you and your family are breathing in clean air. If you want to avoid suffering from allergies or other respiratory issues, having your ductwork cleaned and adding on a better air filtration system will work together to purify your home's air. Air purification systems can effectively clean your home's air either by room with a room air cleaner or via a whole house system that functions all at once. Whether you're cleaning everything on your HVAC system, just cleaning ducts, or also getting some additional air purification, you'll be choosing to have better air in the home. When you need professional services you can count on, you're looking for our services here at Nu-Way Air Conditioning & Heating. Let us serve you and you'll see why your friends and neighbors in Ardsley On Hudson count on our quality services every day! If you need quality HVAC Services you can trust in Ardsley-On-Hudson or surrounding areas, please call 914.777.5030 or complete our online request form.